Chicken CacciatoreCut green peppers into large chunks. Slice onion. Cut up chicken, brown, and cook in skillet. In large pan, saute' onions and green peppers until tender. Add all the rest of ingredients except rice. Substitute Buttermilk PancakesI wanted to remind everyone that substitutions can be made cheaply. I buy cans of evaporated milk. When a recipe calls for buttermilk, I pour a little into a cup of water to make milk, and then put a a teaspoon or so of vinegar. Greek Salad WrapYummy blend of Greek flavors in a wrap sammie. Grilled Buffalo Chicken BurgersFound this idea at Allrecipes but, if you know me, I just have to switch and change things around a bit to suit my taste. Don't forget to serve with a side of blue cheese dressing and celery sticks and the hot sauce bottle for "extra heat" lovers. Yogurt TreatsThis is great for hot summer days when you want a cool treat. When the quarts of yogurt are on sale during the summer, my family likes yogurt treats. We do one of two things with the yogurt. Seafood ChowderCombine all ingredients in 2 qt. saucepan. Heat on medium heat for about 5 minutes or until heated through, stirring occasionally. Sprinkle with parsley before serving. Snow-Capped Chocolate CrinklesGot this recipe from my dear friend, Kay Whittaker, at church. Not sure what cookbook it is from, but they sure are good cookies and you don't get much easier than this! Chocolate Chess PieThis is an easy delicious pie that will remind you of brownies. 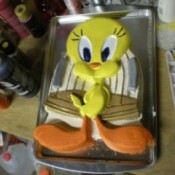 Preheat oven to 350 degrees F. Using Mixer at medium speed, blend all ingredients. Place pie shells on a cookie sheet and prick the sides and bottom with a fork. 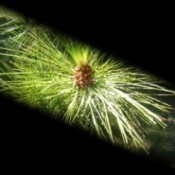 Scenery: PineconeThis picture was really a mistake - the lens did not open enough. Although it turned out rather nice. Accident of high art. 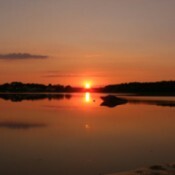 Scenery: "Day's End" (Onset, MA)This is my favorite beach in Onset. The sunset is always so pretty, people walking by will stop to watch it going down. Use Facebook To Reconnect With FamilyI would just like to encourage people to go to Facebook and sign up. I have found over 150 relatives that I have wondered about for years. I have wondered how they are, where they live, how they and their children are, etc. Scenery: SloveniaThis photo I took in Izola/Slovenia. It was just one right moment that I could take it from so it matches everything. It was just a bit dark when I took it. Very nice view. 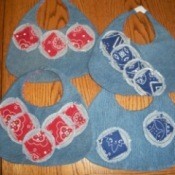 Reversible Denim Baby BibThis is a reversible baby bib, made using worn denim blue jeans and cotton fabric. Create a bib in the shape desired. Cut one piece of denim from this pattern, and one piece of cotton for the reverse side. Use Onion Bags as Bird FeederI save my mesh bags from onions and other vegetables all summer. Then in winter I use them to put out suet or meat scraps for the birds. They work very well. Real Southern Iced TeaBoil a pan of water enough to fill a gallon pitcher. In the meantime, put enough sugar in the bottom of the pitcher to suit your taste. Use the same amount you would use if you were just pouring the sugar into the tea. 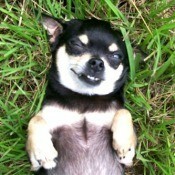 Cha Cha (Chihuahua)Cha Cha is 6 1/2 years old and a Chihuahua. Cha Cha is a rescue dog. She came from a home where the other family dog treated her badly. The other dog had a litter so the family decide to let Cha Cha go. Decorative Cake Pan Stepping StonesI wanted to make unique garden ornaments so I started locating cake pans with specific designs, like Tweety or Sylvester, and making concrete decorations from them. Make a Sports Bra out of Men's BriefsThis is not a joke, really! I did it and it turned out great. I showed my daughter who is nine years old and she started screaming and saying "Ewwwww! ", "Gross!" and "Get Away from Me!" Vinegar For Insect BitesMy husband told me a way to make the bites easier to bear - I didn't believe him at first! He said to put white vinegar on the bites. I didn't have white, so I used apple cider vinegar. Make Quilt from Old Sweat PantsA friend gave me some sweats she couldn't wear anymore, but they didn't fit me or anyone in my family. I decided to try to make a quilt. I used light green, black, and red sweats and made a lap quilt. It's really warm and great for using during trips. Make Your Own Cat PuzzleTake a throwaway plastic container and cut holes in the top just a tad bigger than what the cat can get it's paws through. Put wadded up balls of paper and a few cat treats the cat can dig out in it. KeKe (Cat)KeKe is a cat my daughter picked up from a neighbors barn. The kitty jumped from a hayloft almost into my daughter's outstretched arms! She knew then, this was our KeKe! Freeze Glow In The Dark ItemsMy husband has discovered the secret to re-using Glow-Sticks. These are the glow-in-the-dark sticks that kids love to use for camping, Halloween, etc. Our step-daughter likes to bring one to bed with her at night as a personal night-light when she is visiting us. Rubber Band PrintsDon't throw old rubber bands away. Make rubber band prints. Draw a simple picture on a piece of heavy cardboard. Then "draw" over the picture with a glue stick. Jazz Up Inexpensive ItemsQuite often inexpensive items can be jazzed up to look much nicer! I picked up a fan for $1, but the print was a bit garish. I used my permanent markers to "color in" the flowered pattern and now it's gorgeous and doesn't look like it was a cheapo. Make Your Own Slide and Negative ViewerTurn your expandable extra leaf table into a slide and negative viewer. Use a 3/8 inch; Plexiglas sheet you cut to the size of the table leaf. Underneath the table, place a converted table lamp. Cucumber Slices for Insect BitesI read on earthclinic.com about rubbing a slice of cucumber on any insect bites. I love cucumbers! 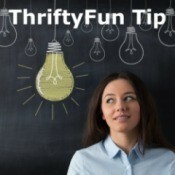 I also looked in the ThriftyFun database and there are a few uses of them to get wasps away from picnics. That is something I would very much like to do. 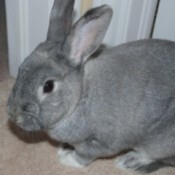 Willow (Dwarf Rabbit)Willow is 4 years old. I bought him 4 years ago from a pet store. He loves to laze in the sunshine and beg for homemade bunny cookies. Living Without Modern AmenitiesBuilding our cabin on some land in the country took several years to complete. Once we had a roof and some walls, we would visit and spend nights. We found ways to cope. Wildlife: Butterflies and Chihuly (Columbus, OH)I recently visited the Franklin Park Conservatory in Columbus, Ohio to see the Chihuly exhibit showing there. A butterfly was sitting on one of the brightly colored sculptures. 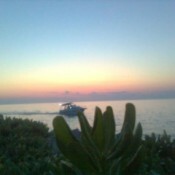 I thought it was beautiful! A Coaster For Your Shaving Cream CanI save the lids from the tops of Pringles chips cans and the tops from the Walmart generic Crystal Light mix. They are perfect for setting cans of shaving cream on in the shower. 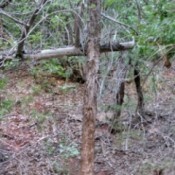 Scenery: Old Rugged Cross (Zion National Park)I was hiking in Zion National Park when I saw this anomaly. it is actually dead trees, one that is still upright, the other is uprooted and fallen over, but it appears to be a perfect cross! Finger Basketball and Finger Ring TossThis is a way to play basketball for the kids or bored adults. I always have duct tape, I use it for everything. Take the rings you cut off the toilet paper cardboard roll and put them in a paper clip. Diatomaceous Earth For Eliminating FleasI have 2 Huskies. 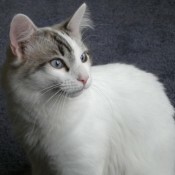 I sprinkle diatomaceous earth on their food every day and the result is no fleas and no scratching. Each gets about 1 tablespoon depending on dog's weight. 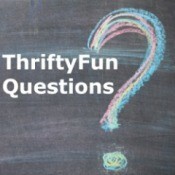 My Frugal Life: Penny PinchersMy husband is a penny pincher and that is great. He has helped our family pay off our house in 3 years. The trick is paying separate to the principal and the amount will drop fast. Clean Windows with Pinesol and RagsSave on window cleaners and paper towels. Mix Pinesol (or any nonabrasive cleaner) in a bucket of water and use a rag to wash your window and another rag to wipe it clean. Works great! 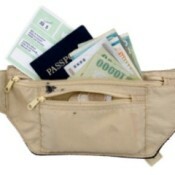 Money Travel TipsNotify your bank when you will be traveling (where and dates) if you intend to use a credit card to avoid a fraud alert being placed on your card and having your legitimate charges denied. Use Pickle Juice as LaxativeDrink a full glass of pickle juice leftover from when you run out of pickles or if you have more juice than the pickles for a good laxative. Blue Cheese DressingThis is nothing like the Blue Cheese Dressing from the store - it's much better. You only taste the natural ingredients. You'll never want to go back to the other stuff. Creamy, blue cheesy and oh so delicious. Abbey (German - Golden - Wolf Mix)Abbey was the second drive-by I saw of "FREE PUPPIES" on the side of a road within two days. 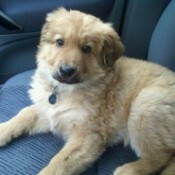 It, being the start of 2010, just seemed like a sign to have a cuddly addition to my life! Garden: Heritage Bean Blossom in CornThis is a bean which has been passed among generations of friends in our mountain area. 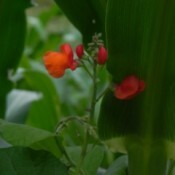 It is in a "Three Sisters Garden" of beans, corn and squash, at Full Spectrum Farms, planted in the Iroquois tradition. 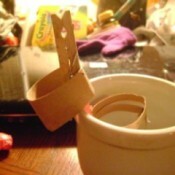 Make Your Own Percussion InstrumentsYou can make percussion instruments out of almost anything (a la the show "Stomp"). Affordable Ballrooms Near Miami, FLI' m getting married on a budget, but want to have a ceremony. Does anyone know of an affordable ballroom in my area? Do you have any other suggestions? Thank you. Planting a Cutting from a Butterfly BushI would like to take a cutting of my butterfly bush and plant it in another place in my yard. Can this be done? New Upholstered Sofa Transfers Dye to ClothingFriday my newly re-upholstered red microsuede sofa was returned after being re-upholstered. It's beautiful, but the red seems to "run" on white/light fabrics. The man who did the work said he could see it rubbing off on his clothes, some, also. Removing Paint from Cement Floor After Water DamageOur church basement had water damage. The floor is cement. A water pipe broke and the water ran for one night before anyone found it. There is about one thousand square feet. The paint is peeling up and there are green stain spots from the paint color. Collecting Child SupportMy husband was ordered to pay child support and left the country. Can I collect anything from his social security benefits? If so when? Thank you. 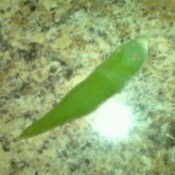 Can I plant Wisteria pods?I've just picked a few light green seed pods from a wisteria tree. Can I plant the seeds? Will I need to dry them first? And when is the best time to plant them? Zucchini Rotting on the VineMy zucchini has produced only one 6 in. zucchini in the last month. The plant seems to produce flowers and I have tried to pollinate them myself for lack of bees in our area. 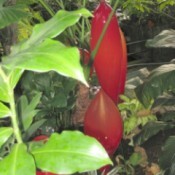 However, the fruit that comes onto the plant starts getting soft at the tip once they are about 2 in. long. Keeping Fleas Off PeopleHow do I keep fleas away? Can I eat something that will keep them off me? Drain CleaningWhat is the best way to clean a tub drain? How Do I Get Rid of Mildew Stains?My daughter packed away all of her summer clothes and placed them in our basement, unbeknown to us. Over the winter, the ceiling fell through, now all of her clothes are covered in mildew, I have used household bleach, but cannot remove any of this mildew. Looking for Vases for CenterpiecesI am getting married and my colors are champagne and mocha. I was thinking about square vases filled with coffee beans and off-white flowers. Does anyone know where I can find 5 inch vases for a reasonable price? Resealing Old Hardwood FloorsI have old 3/8 inch oak floors in our old house, and we're selling the house. I stripped the floors with SoyGel, washed with TSP, and sealed with a polymerized tung oil sealer from Sutherland Welles. Bugs on Potato PlantsDoes anyone know what I can use to keep the bugs off my potato plants without using chemicals? Removing Residue from Torginol FloorsThe floors in my kitchen and bath are poured, I believe it was called Torginol. They are old (built in 1968) and have built up residue over the years. Once yellow with flakes, they are now an ugly tan. Tiny Jumping Bugs in CouchWe have these weird bugs that jump and are really tiny. We thought they were fleas, but now I'm not sure. We don't have pets and they seem to live in the couch in the living room. Does anybody know what could they be? 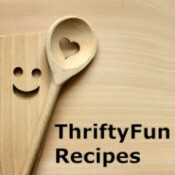 Recipe for Gummy CandyI am looking for a recipe for gummy candies (like gummy bears)? Cleaner for the H2O Steam CleanerI own an H2O steam cleaner and want to continue using it for cleaning my carpets, but the carpet cleaning liquid that came with the machine is now all used up. Recontouring Countertops Before PaintingI have Formica countertops in my kitchen and both bathrooms. I am going to paint them to look like granite (thanks to the advice given on here!). Eating Fruits Grown Where Cats Have PoopedIs it safe to eat from plants such as tomatoes or strawberries where cats have pooped and peed? Using an iPhone Instead of Internet at HomeMy son recently got an iPhone and now he doesn't even get on the computer anymore, he just uses his phone. He's trying to talk me into getting one too and then we can disconnect the internet. It would save us about $50 a month. Can I everything on an iPhone that I can do on the PC?